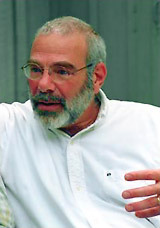 PAUL BRESNICK established the Paul Bresnick Literary Agency, LLC in 2004. In 2013, he took over the Wendy Weil Agency and the company became the Bresnick Weil Literary Agency, LLC. Prior to his tenure as Publisher at LiveREADS, the enhanced e-book publishers, from 2000-2002, Paul was Fiction Editor at Penthouse, Associate Editor at Simon & Schuster, Editor at Henry Holt, Senior Editor at Doubleday, and Executive Editor at William Morrow. At Penthouse, he published fiction by a distinguished group of writers including Philip Roth, James Baldwin, John Hawkes, James Purdy, T.C. Boyle, Don DeLillo, and several others. At Simon & Schuster and Holt, he edited such major bestsellers as THE CINDERELLA COMPLEX by Colette Dowling, THE SECOND STAGE by Betty Friedan, and CATCH A FIRE: THE LIFE OF BOB MARLEY by Timothy White. Shortly after he arrived at Doubleday, Bresnick came up with the idea of doing a book called FATHERHOOD and succeeded in convincing Bill Cosby to write what would become a publishing phenomenon, with net hardcover sales of over three million copies. His other bestsellers at Doubleday included GRACE: THE SECRET LIVES OF A PRINCESS by James Spada, SEPARATED AT BIRTH? by the editors of Spy magazine, DRIVE by Larry Bird, and ON BOXING by Joyce Carol Oates. Some highlights at Morrow: FOREVER BARBIE by M. G. Lord, MODEL by Michael Gross, BLACK PROFILES IN COURAGE by Kareem Abdul-Jabbar, JACKIE AFTER JACK by Christopher Andersen, KING CON by Stephen J. Cannell, HIT MAN by Lawrence Block, POACHERS by Tom Franklin, HELL’S ANGEL by Sonny Barger, AHAB’S WIFE by Sena Jeter Naslund. Read a profile of Paul Bresnick from the East Hampton Star.